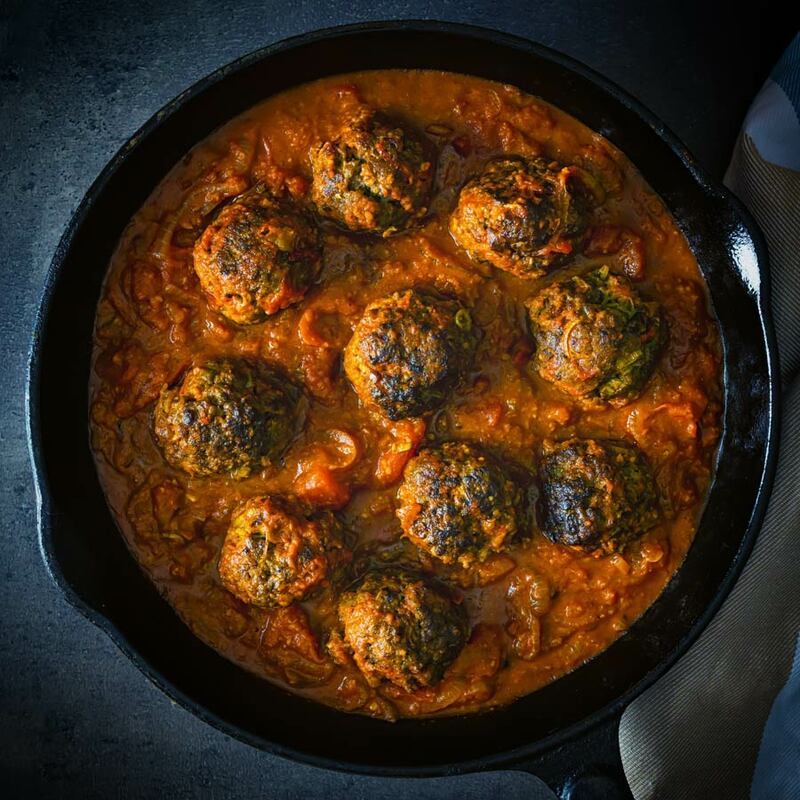 These glorious Indian inspired venison meatballs are served with a masala style sauce and all cooked up in a single skillet. Get your naan breads ready! Just like those meatballs these definitely fall into the Indian inspired recipe rather than being a traditional Indian recipe. 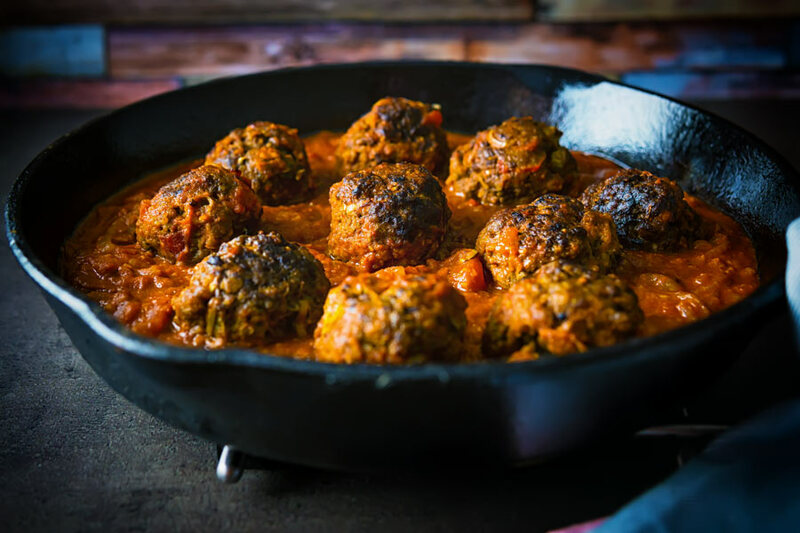 Venison has a rich flavour that is much firmer in texture than beef… I personally love that firmer texture in a meatball it really works for me. As for the ‘gamey’ flavour of venison, well that all comes down to how the venison is sourced and most importantly how long it is hung. The hanging of the meat refers to how long the meat is allowed to age. I personally love the gamey flavour so always go for well-hung meat (yes I really am that childish)! If it is not your thing then go for something less so or something farmed, it will also likely be cheaper. However, the musky flavour of aged meat will be very much tempered by the Indian flavours we have going in here. 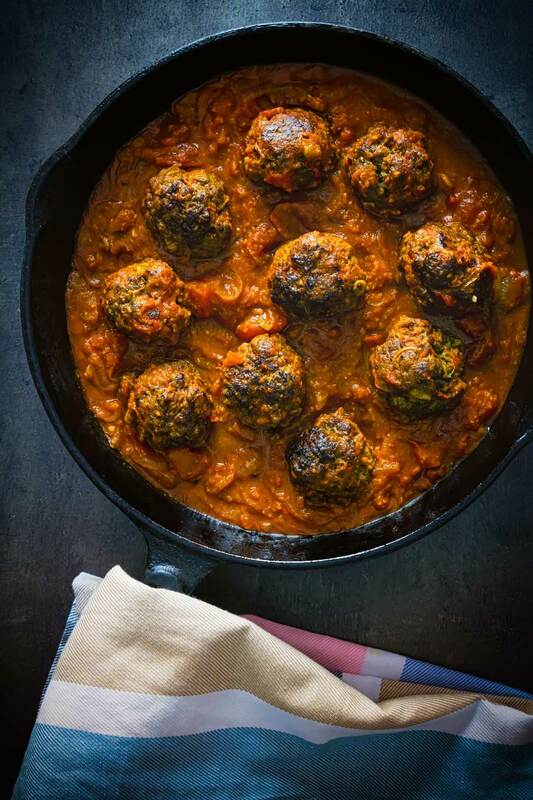 Venison Meatballs In Tomato Sauce. I must stress that these Indian inspired Venison Meatballs really are not a curry. They are a long way from the sort of thing I consider to be a curry. Of course, curries can have a tomato based sauce as my Chicken Jalfrezi and Chicken Balti recipes show. 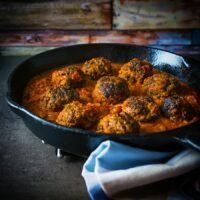 These, however, are very much closer to meatballs in a tomato sauce, you know… The sort of meatballs you would get in a spaghetti and meatballs recipe. The Indian flavours here are relatively subtle, with the exception of the Kashmiri chili powder. You can pull this back and make it a little less fiery if you really want too! Kashmiri chili powder really is not that spicy, it is often used for colour flavour rather than pure heat. So if you are substituting it out for another type of chili powder bare this in mind. What To Serve With These Venison Meatballs! Usually, these get served with a double sized version of my naan bread recipe. Te be perfectly honest I would serve practically any curry with a naan bread, I love them! But the most important aspect of your side helping for this dish is that thick spiced tomato sauce. You need something to mop that up with and as far as I am concerned naan bread is the finest ‘gravy mop’ in all of food. Cleaning out the pan with your naan bread is where it really is at for this recipe. I would personally avoid rice as it is very much a tweaked meatball in tomato sauce recipe… But the Indian flavours no matter how subtle also make the pasta thing a little bit weird. Another great option would be Bombay potatoes, my spiced crunchy roasted version of this recipe would be a real treat with that spicy tomato sauce! Finely slice your chili and spring onion then add it to the ground venison. Add the remaining ingredients for the meatballs to the ground venison and form into 10 meatballs. Wet hands really help here. Slice your onion into half moons and blend your garlic and ginger into a paste. Heat your cooking oil in a skillet and then sear your meatballs. When seared add in onions and cook over a medium heat for 10 minutes. Add in the garlic and ginger paste and cook for a further 3 minutes. Drop in the spices for the sauce and stir for 60 seconds. Pour in the tomatoes and sugar then stir before adding in the meatballs and then baking in the oven at 180°C or 350°F for 12-15 minutes. The image of these gorgeous meatballs has been popping up in front of me all day. Just now on Tasteologie and I had to jump over here to check them out. I love the Indian spices in the meat and sauce, and I think I could eat an entire pan of them. Stunning photos! Thanks Valentina, they are really exceptional! 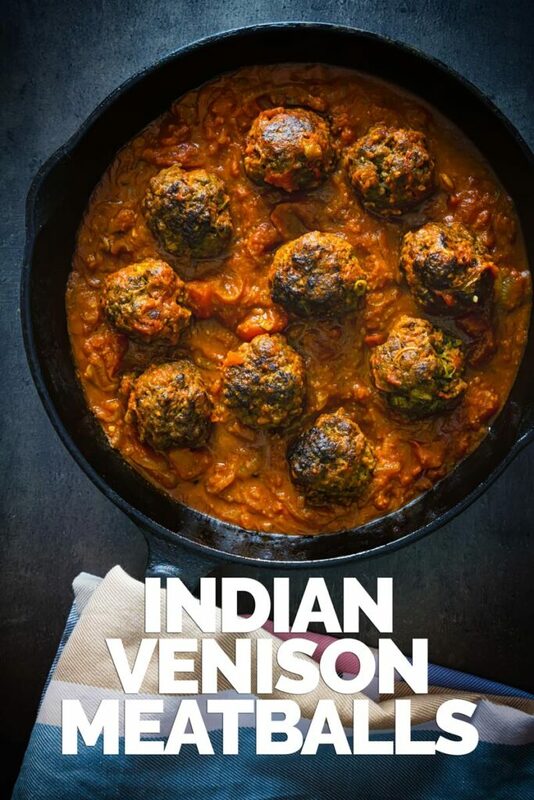 I love venison and I love Indian flavours, so this recipe really has my name on it! I’ve never made venison meatballs. Really want to try this! I love the sound of these meatballs. It’s been years since I had venison and I can’t even remember what it tastes like. I def need to try it again. You are definitely in for a treat, these taste wonderful! 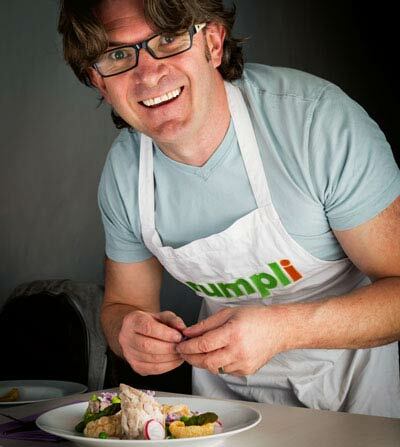 Oooh I just love the mix of spices you’ve used in these meatballs. Sounds so deliciously fragrant.